 If you are preparing to go to graduate school of any kind, there are many ways University of Mobile can help prepare you! After four years at UM, I was able to apply and get accepted into graduate school immediately upon graduation, but I could not have done it without the help of professors, my involvement on campus, and my involvement in the community. 1. Create a relationship with a professor and invest in it! A beyond-the-classroom relationship with a professor has potential to add extraordinary value to the process of graduate school preparation. For me, that professor was Dr. Cassidy Cooper, assistant professor of sociology. Having someone who believed in me, and whom I could consult for advice, was a great source of encouragement during my final year. The grad school application process can be tough at times because it comes with deadlines, application fees, interest letters, pages and pages of questionnaires, and lots of anticipation. Having a professor who has already been through the process – perhaps multiple times – to offer guidance, and even write a few recommendation letters, is invaluable. If your professor is like Dr. Cooper, he or she will be there to help you discern which university is the best option for you. Some of the best moments come as you remain in touch, exchanging emails about how well he or she prepared you for what was ahead of you. It may not seem like it in undergrad, but the research class you had to take, or the books you had to read, may even end up putting you ahead of everyone else in your program because of the amazing job UM professors do in preparing us to succeed! 2. Get involved in the community! One major thing I learned during my time at University of Mobile was how important volunteering and getting involved in the community was. Though it started out as being mandatory for my major freshman year, by sophomore year it didn’t matter if it was or not because I loved it so much. First, I volunteered as an English Second Language (ESL) teacher, but my involvement continued up until graduation day. I was an ESL teacher for two years and then I spent my last two years volunteering at the Alabama Baptist Children’s Home (ABCH). Looking back, my time spent doing these two things are some of my fondest memories of college. Additionally, volunteering at ABCH with children in foster care was what led me to apply to grad school for social work! I know it is mandatory for some sports teams to volunteer together and while I commend that, I challenge you to go the extra mile. Take some time out of your week to volunteer. I promise you won’t regret it. Along the way you, too, may find your true calling in life and make some wonderful lasting relationships. Depending on the profession, volunteer hours may look really good on a resume, too! (Though this shouldn’t be your only motivation… ) While Project Serve Day is a great chance to invest in the community around Mobile, it is only one day! I hope you will decide to get involved in some capacity off campus while at UM. Lastly, my time spent at UM would not have been the same without my experience in the Student Life department. I was a Resident Assistant (RA) for three years and a University of Mobile Ambassador my senior year. Currently, I am doing an internship that requires me to plan events, and I am able to come to the table with a lot of new ideas, all because I threw a couple of dorm and hall parties along the way throughout college. Being an RA also helped me on my wandering path as I realized my passion of advocating for people. Whether it was communicating the thoughts and feelings of my residents to the administrators, such as new café food or a bike rack for Ingram Hall, it was all a part of my journey. There are many ways to get involved on campus aside from being an RA or an Ambassador, and I hope that you will consider applying to be a part of something on campus. Claire Beaman graduated from University of Mobile in May 2018 and is currently attending the University of South Carolina to earn her master’s in social work. Through a specialization in children, youth and families, Claire hopes to one day be either a child advocate or work with families in the foster care or adoption process. In her free time, she enjoys traveling with her husband and being outside with her dog.